Prostate MRI is a painless radiology exam which may be performed to examine the prostate area in a non-invasive manner. It aids doctors in visualizing tumors, infection, inflammation and assess the cause of pain. Who should get a Prostate MRI? No. An MRI is a painless radiology technique that has the advantages of avoiding radiation exposure. 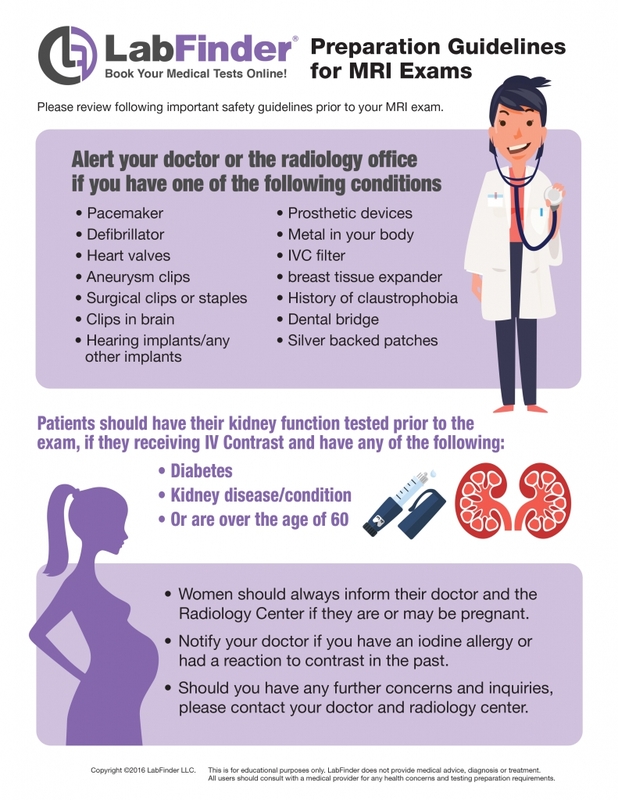 Please refer to the simple preparation guidelines or consult with your doctor or radiology center where you are being treated. Do not forget to bring your LabFinder Order and Insurance Card to your appointment.